They said the accusations made by the Pune Police were fabricated. 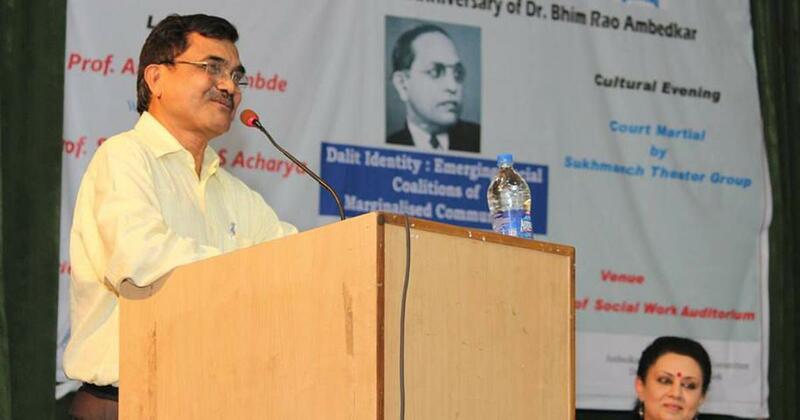 A group of Ambedkarite organisations has issued a statement demanding the withdrawal of “fabricated charges” against activist Anand Teltumbde in connection with the violence at Bhima Koregaon on January 1, 2018. The statement was issued in response to the imminent arrest that the activist faces after the Supreme Court on Monday rejected his appeal to quash the first information report filed by the Pune Police against him. Teltumbde was granted protection from arrest for four weeks, during which he can seek bail from a trial court. Two days later, Teltumbde wrote an open letter to the public, asking for support. The organisations, which issued a statement on Friday, said Teltumbde has consistently fought for social justice, democracy and the Indian Constitution. They said Teltumbde contributed his intellect and experience to the society via teaching, writing and contributing to democracy through people’s movements. 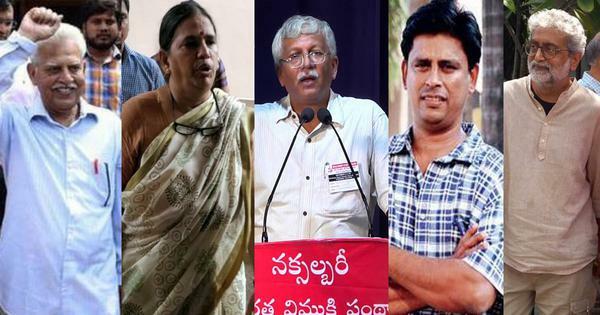 The statement said the Pune Police released “fabricated letters” addressed to “Comrade Anand” as evidence, but Teltumbde had refuted all the charges with documentary proof. It said Teltumbde was not present at the event that had preceded the violence. The statement was signed by the Ambedkar International Mission in United States, Canada, Australia, Oman, UAE, Qatar, Japan, Singapore, Malaysia, Brunei and India, India Civil Watch, and the Ambedkar Periyar King Study Circle among other organisations. Here is the full text of the statement. We the undersigned demand the immediate withdrawal of the fabricated charges by the Pune police against Dr Anand Teltumbde, senior professor and chair, Big Data Analytics at the Goa Institute of Management. Dr Teltumbde is one of India’s leading contemporary public intellectuals and an internationally known scholar. He is the longest-standing columnist at the Economic and Political Weekly (one of India’s best-known internationally acclaimed social science journals), General Secretary of the Committee for Protection of Democratic Rights, and presidium member of the All India Forum for Right to Education. Dr Teltumbde is a prolific writer, with 26 books (in English and Marathi) and research articles on data analytics, cybernetics, caste-class and public policy issues. His most recent publications include Republic of Caste and the co-edited anthology The Radical In Ambedkar: Critical Reflections by Penguin Random House. His writings have been translated into several Indian languages. Over his long career, Dr Teltumbde has consistently been on the side of social justice, democracy, and the Indian Constitution. His books and articles are taught in universities the world over. He has supported democratic struggles in the country against caste- and religion-based violence as a representative of very large numbers of ordinary people whose voices and hopes he bears. His writings – scholarly, technical, and popular – have been very central to India’s critical thinking. His lengthy resume demonstrates his far-reaching contributions to several fields of academic inquiry, as well as to bringing about progressive social change. Despite his professional success, which could have meant a luxurious and carefree retirement, Dr Teltumbde has instead contributed his intellect and experience back to our society via teaching, writing and contributing to democracy through people’s movements. Dr Teltumbde has been invited by organisations / forums worldwide for his scholarship and he has always expressed his views on making India progressive, inclusive and harmonious. It is preposterous that Dr Teltumbde is facing imminent arrest under the undemocratic Unlawful Activities (Prevention) Act based on a fabricated case filed by the Pune police in India under which ten other eminent persons, including human rights activists, lawyers, and public intellectuals, are already under arrest. The case relates to the organising of a peaceful meeting on 31st December, 2017 to commemorate the 200th anniversary of the last Anglo-Maratha battle, which took place at Bhima-Koregaon, Maharashtra, India, where large numbers of Dalit soldiers were martyred. Justice PB Sawant, a retired judge of the Supreme Court, and Justice BG Kolse-Patil, an ex-judge of the Bombay High Court, were co-organisers of this event. In point of fact, Dr Teltumbde was not even present at the event. Following it, several fabricated letters addressed to a “Comrade Anand” were released by the Pune police as ‘evidence’ for the justification for his arrest. Each of the so-called charges by the Pune police has been refuted with documentary proof by Dr Teltumbde. Notwithstanding this proof, the false charges have continued in a concerted campaign to intimidate and silence Dr Teltumbde. As is very well known, under the UAPA, these fabrications are enough to detain Dr Teltumbde. We cannot accept such ‘detention without trial’. We therefore demand that all charges against Dr Teltumbde be dropped immediately and that justice prevail on the side of truth.